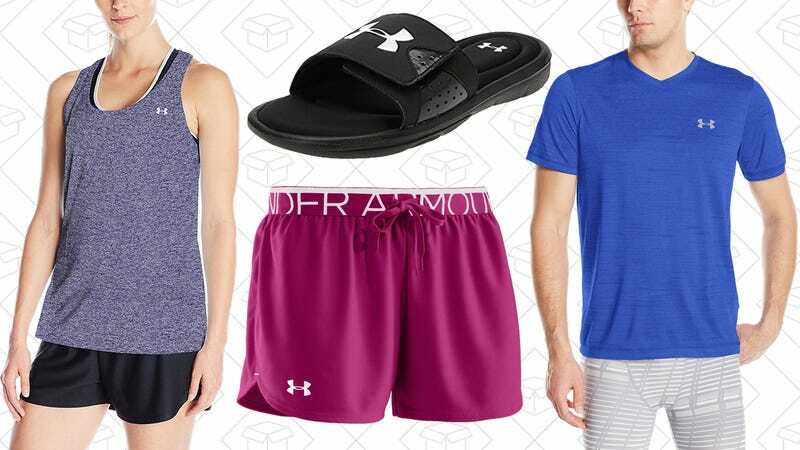 Amazon’s running a new fitness-focused Gold Box to help you stay active through the holidays, this time with a solid selection of Under Armour apparel for men, women, and kids all marked down to great low prices. Head over to Amazon, and you’ll find deals on shorts, tops, sneakers, and more. Just note that lots of the items have multiple color options once you get to their product pages, and that these prices are only available today, so you may want to run.